Kapap instructor update training is a prime opportunity to expand the knowledge base of all Kapap instructors and students alike. The main purpose of the instructor update training is to address weaknesses, improve instructor performance, and to keep consistency. By participating in the Kapap instructor updates, training and development provides both the Kapap instructor as a whole, and the students with benefits that make the personal commitment of time a worthwhile investment. Most instructors have some form of weaknesses in their Kapap skills. The instructor update training allows you to strengthen those skills that each instructor needs to improve. Kapap instructor update training brings all Kapap instructors and students who attend to a higher level so they all have a good understanding of skills and knowledge. This helps reduce any weak links within the Kapap training provided by instructors to students, who rely heavily on Kapap instructors to, providing the necessary training that the student may seek, when they attend Kapap training classes. Kapap update training creates an overall knowledgeable Kapap instructor with students who can feel safe in the knowledge that their Kapap instructor is fully conversant with Kapap training principles. A Kapap instructor who receives the necessary training is better able to perform their role as an instructor. The Kapap instructor becomes more aware of safety practices and necessary procedures for teaching classes of students. The Kapap instructor update training will help also build the Kapap instructor’s confidence because the Kapap instructor has a stronger understanding of Kapap principles, and the responsibilities as a Kapap instructor. This confidence may push the instructor to perform even better and think of new ideas that help the instructor and student excel. Continuous Kapap update training also keeps all instructors who attend Kapap instructor update training, on the cutting edge of teaching Kapap. 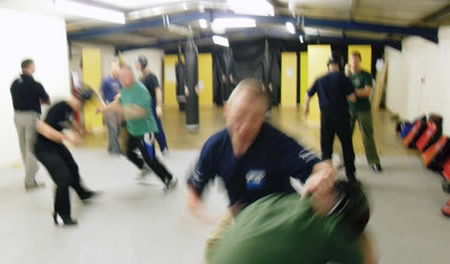 Kapap instructors who are competent and on top of their training will help your club/school hold a position as a leader and strong competitor within the self defence industry. A structured training and development program ensures that instructors and students have a consistent experience and background knowledge. The consistency is particularly relevant for the Avi Nardia basic principles and procedures. All Avi Nardia Kapap Instructors need to be aware of the expectations within the Avi Nardia Kapap Family. Regular Kapap update training ensures that all Kapap instructors have exposure to Kapap training information.